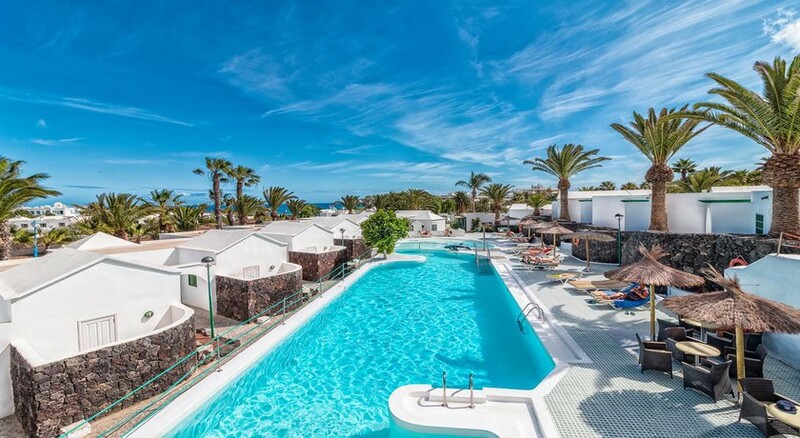 Apartments The las Gaviotas has a very large outdoor area prepared to offer leisure and places to sunbathe, with its seven swimming pools with solarium areas with sun beds and umbrellas, as well as a bar in the pool area for drinks and snacks for guests. In three of these pools there are also children's sections so that the little ones can bathe in complete safety. In addition, four of these pools are heated during the winter. Other amenities that you can find in this hotel are billiards, TV room and bicycles can be rented if you want to explore the local area at your own pace. The nearest beach is a mere stone’s throw from the property and can be found just 400m away There is an on-site restaurant that serves a variety of local and international means and the Apartments The las Gaviotas also have a cafeteria and snack bar for a quick bite to eat. 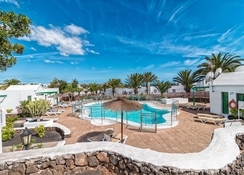 Apartments The las Gaviotas is located in the tourist area of ​​Puerto del Carmen. It is close to the main attractions of Lanzarote, such as the Timanfaya Volcanic Natural Park and the Jameos del Agua. 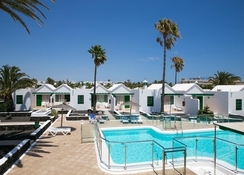 In addition, it is only 6kmfrom the Lanzarote Airport and 14km from the capital city of Arrecife. The rooms at this hotel have a host of amenities. Guests can choose between Superior Apartments, Double Apartments and standard apartments. Rooms at the hotel have a kitchen area with refrigerator, microwave, oven and electric stove, so you can prepare basic meals on your own. In addition, they have a lounge area with a sofa, and have a terrace to the outside to fully enjoy the good weather. Rooms also have a tea and coffee making machine. Guests can enjoy radio and satellite television too. Apartments The las Gaviotas offers a buffet restaurant serving international and local cuisine. Enjoy a pleasant ambience and sample house wines, cocktails and beers at the bar. Head out to the local area and explore a number of bars and restaurants that are within easy walking distance of this property. In Apartments The las Gaviotas they have services for a very pleasant stay. Outside, they have a car park and at their reception they offer currency exchange if needed. Guests can also make use of a safe deposit box. In addition, they have daily cleaning at the hotel and laundry service. 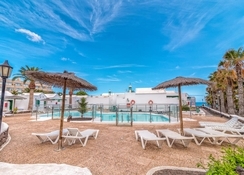 The complex has numerous outdoor swimming pools while you can also play billiards and the reception has facilities for guests to rent cars and bicycles to see the surrounding area.